Having been a teenager in the 1970s, when most Christmases saw the BBC screening an adaptation of an M.R. James ghost story, I have always had a soft spot for late nineteenth and early twentieth century horror. 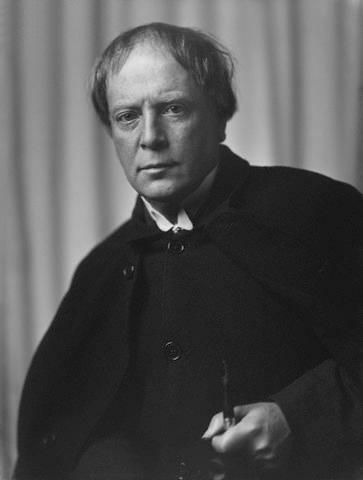 A few weeks ago, having just read and enjoyed several stories by Algernon Blackwood, I decided to read some Arthur Machen to see how he compared. The Machen story I chose was called The Inmost Light, published in 1894. I was reading it on my PDA at a bus stop, while on Brent Archives business in Kensal, when I came across the following line: “I dare say that you never heard of the Harlesden case?” There followed a pretty unflattering description of Harlesden in the late nineteenth century. This surprised me, as everything I have read since I started working in Brent suggests that it was precisely during this period that Harlesden was at its most middle-class, and that the residents were proud of their suburb. His father was called Jones, but Machen used his Scottish mother’s maiden name. He is now mainly remembered as the journalist who inadvertently created the myth of the ‘angels of Mons’, which, despite it being a work of fiction, evolved from his short story The Bowmen, in which Henry V’s ghostly archers protect a British unit from the Germans in 1914. He was, however, a relatively successful writer from the 1890s to the 1920s and a well-known journalist on The Evening News from 1910 to 1921. He enjoyed a significant revival in the early 1920s, partly the result of the discovery of his work in the United States. This is pretty damning stuff, and it raises two questions. How did Machen know Harlesden, and why did he seem to dislike it so much? Machen wrote three volumes of autobiography, Far Off Things (1922), Things Near and Far (1923) and The London Adventure (1924). Far Off Things provides the answers, as we shall see in Part 2.